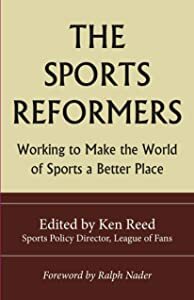 Win-at-all-costs (WAAC) ethos greatly damage sports, which at their best are a great socio-cultural practice. 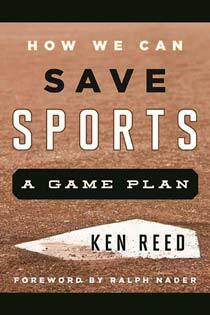 The WAAC mentality sees sport as a metaphor for war, in which opponents are evil and must be conquered. It’s a mindset that sees only one thing of value in athletic competition: winning. That’s it. If you don’t win, the whole endeavor is a waste of time. With the Lombardi line of thinking there is no other reason to compete in sports. I strongly disagree with that philosophy. That way of thinking leads to the behaviors (cheating, taunting, cheap shots, fighting, belittling, etc.) that drive ego-based WAAC sports. And it’s that type of thinking and behavior that provides the foundation for Sport At Its Worst. Sport At Its Best, on the other hand, isn’t a zero-sum game. Both sides can succeed, no matter what the scoreboard says. I believe the healthiest – physically, mentally, emotionally and spiritually – way to view sports is this: Winning isn’t everything, it’s just one thing. Striving to win is an inherent part of competition, including athletic competition. Striving to win isn’t the problem in sports. It’s striving to win at all costs that’s the problem. Winning, in the best sense, isn’t just about wins and losses. Nor is it just about your performance, or that of your team. It reminds me of the saying, “If something is worth doing, it’s worth doing poorly.” In other words, there are so many positive benefits from sports participation that even if you are a lousy athlete and only rarely win on the scoreboard, it’s worth doing. And sports participation has to be about more than just your needs and wants in order to be fulfilling. If sport is to be totally satisfying to the human spirit, and not just the ego, winning needs to have a “communal good” aspect to it. Sport at its best is a cooperative venture, in which all competitors give maximum effort, under a fair set of rules, toward a goal of excellence for all. By striving with our opponents vs. striving against them, a contest can have successful outcomes for both parties. Yes, only one side can win the game or match, but there are positives to be derived from sport no matter what side of the scoreboard one might end up on. Success in sports doesn’t mean being better than someone else. It means being the best you can be — and one’s opponents help in achieving that goal. There’s nothing about winning games, Olympic medals, or college athletic scholarships in that definition. There’s nothing about beating a hated enemy in that definition. For Wooden, succeeding as an athlete (or in life for that matter) is about giving maximum effort in an attempt to be the best you can be in a given endeavor. Would sports be as popular as they are today if winning was the only thing of value to be gained? What about having fun, enjoying camaraderie with teammates and opponents, and improving one’s health and overall wellness? What about developing self-discipline, and appreciating the value of hard work? How about learning the importance of sacrifice, teamwork, and goal setting? What about learning how to deal with adversity, the importance of proper preparation? Or, acting with courage and learning to be accountable for one’s actions? And, of course, there is the great value of sportsmanship, learning how to compete – and live life — ethically. 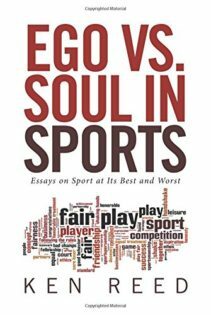 Ultimately, I believe sports involve an ongoing battle between Ego and Soul. Ego is at the root of win-at-all-costs policies, decisions and actions. Soul (or, as some prefer, the human spirit), on the other hand, is at the core of sportsmanship, cooperative competition and true success. In short: Sport at its best is driven by one’s soul. At its worst it’s driven by one’s ego. The ego is always wrong and the soul is always right. In sports as in life.